Please chose the size of your frame. You can define the finish in the next step. For more information on the available colors please see our color chart. Delivery will be made in the color chosen in the step above with the frame size. You can still chose the color of the frame decals. You can chose the color of the frame decals as well. The second color is also the color of the frame decals, which are part of the powder coated design. Please selest the first option when chosing frame decals. 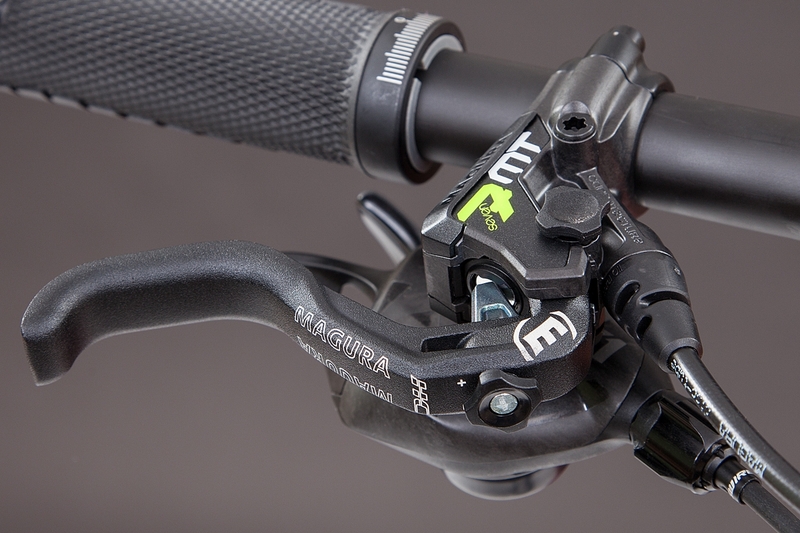 You can chose a carbon rear triangle. Please note that the carbon rear triangle is always black silk-mat and cannot get powdercoated. 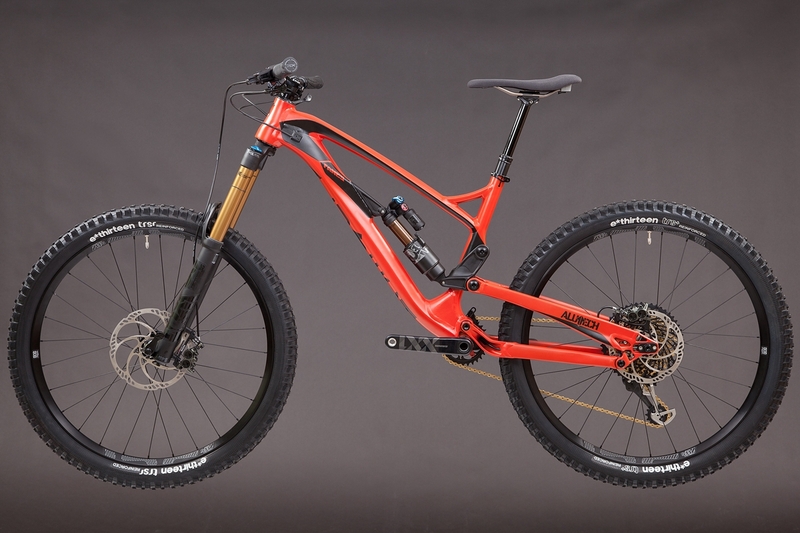 please chose a suspension fork. 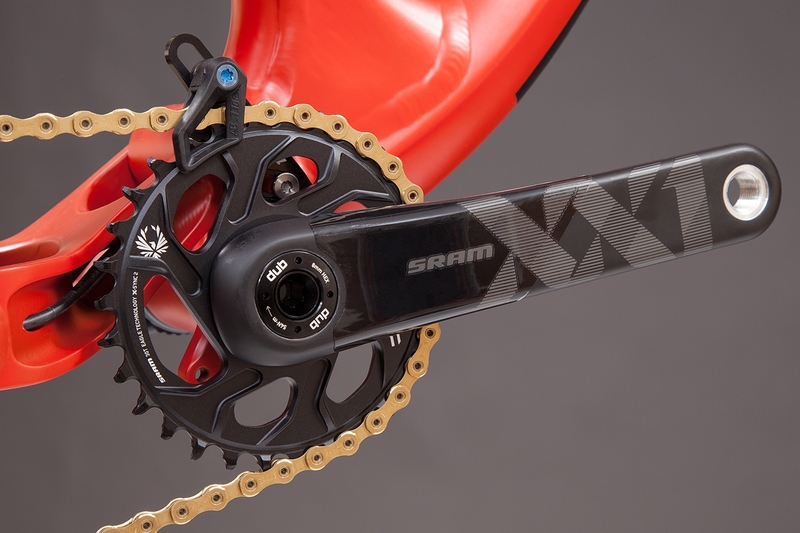 please chose a drive train. please chose a brake set. Bremsperformance muss nicht schwer sein. Maximale Bremsleistung und Standfestigkeit im extremen Einsatz, das ist die Devise der MT7. Im harten Enduro- oder Downhilleinsatz bedeutet die zusätzliche Bremspower mit 4 Bremskolben an der und deren feine Dosierbarkeit das Plus an Sicherheit. Die werkzeuglos verstellbaren Bremshebel und der einstellbare Bremspunkt liefern die nötige Ergonomie um auch im schweren Gelände und auf langen Abfahrten die Bremse perfekt im Griff zu haben. weight 35mm/108gr. 50mm/138gr shims for 31.8mm handle bar weight is 22gr. fork shaft dia. : 1 1/8"
Mountainbike Race Sattel MY 2017 mit CroMo-Gestell und Kunstlederbezug. Die ergonomische Form entlastet das Schambein und sorgt für maximalen Fahrkomfort. 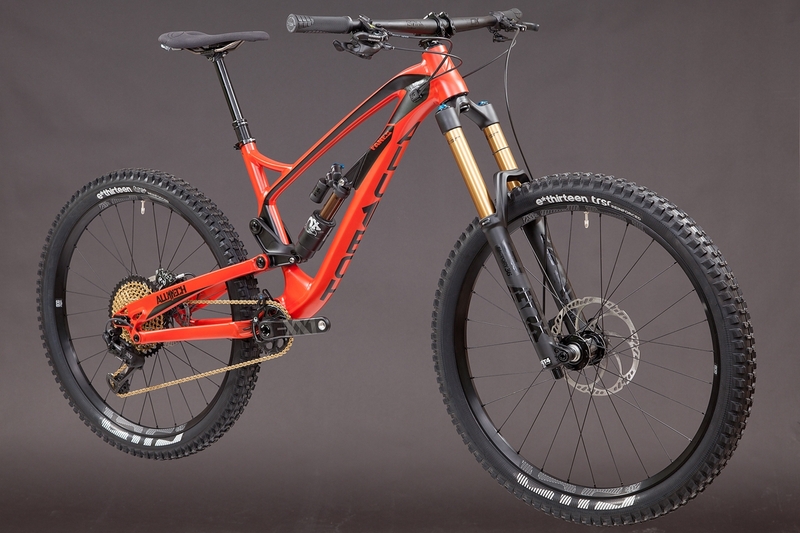 A completely new design makes the Fanes 6.0 a real eyecatcher and the perfect companion for trail, tour and park! 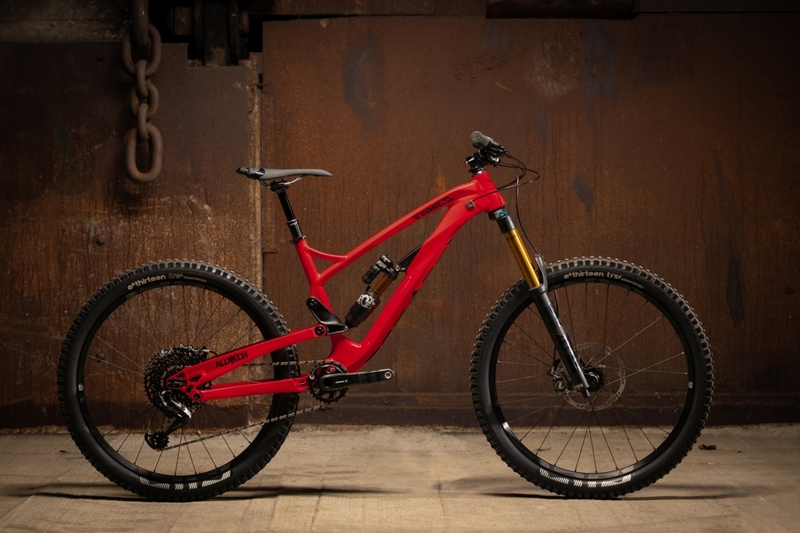 The optimized and modern geometry of our enduro mountainbike provides up- and downhill performances that lets the fun flow through your veins. It handles so well that you will be able to cut through any terrain like a hot knife through butter! You will experience directional stability like you have never before. Overall we focused the development of this frame on form, function, longevity and easy maintainability - for a new mountain biking experience. 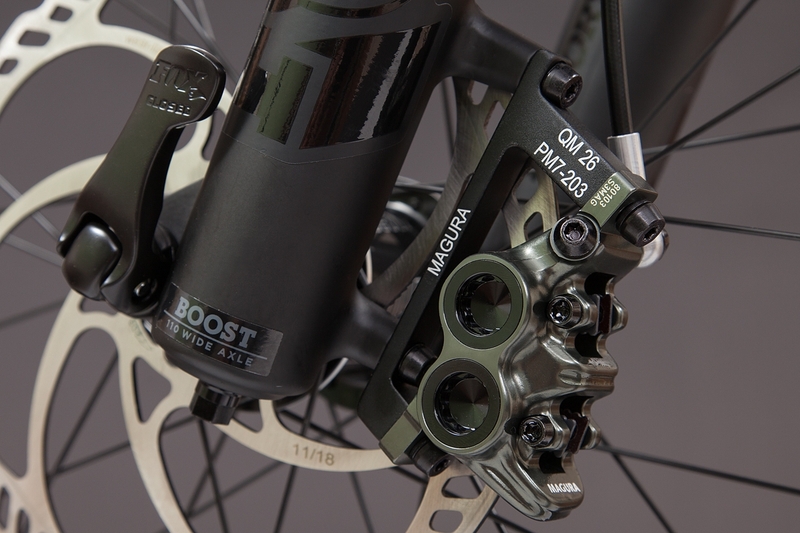 The geometry is dialed to fit 650B (27.5") wheels and the Boost standard brings the necessary stability for any use scenario. 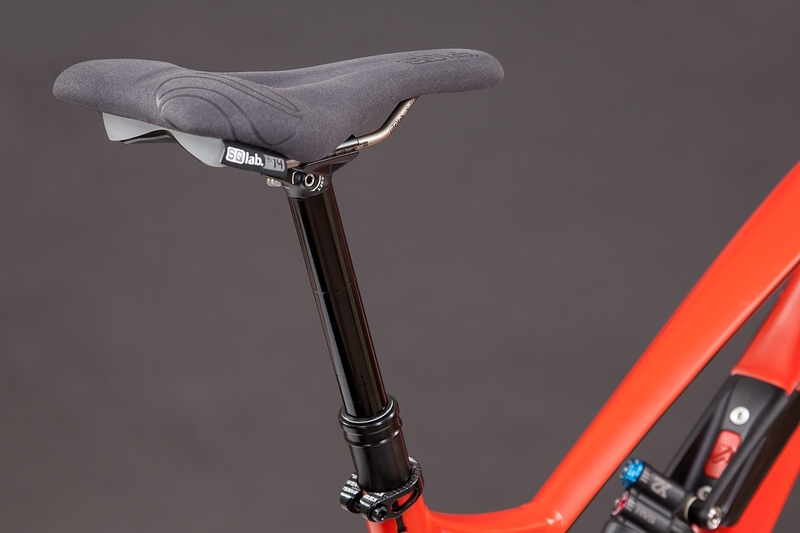 The seat angle is designed in a way that it will have exactly 75° with the seat post fully extended to make uphill performance better than ever before! The cable routing was improved in many details to create a really clean look. 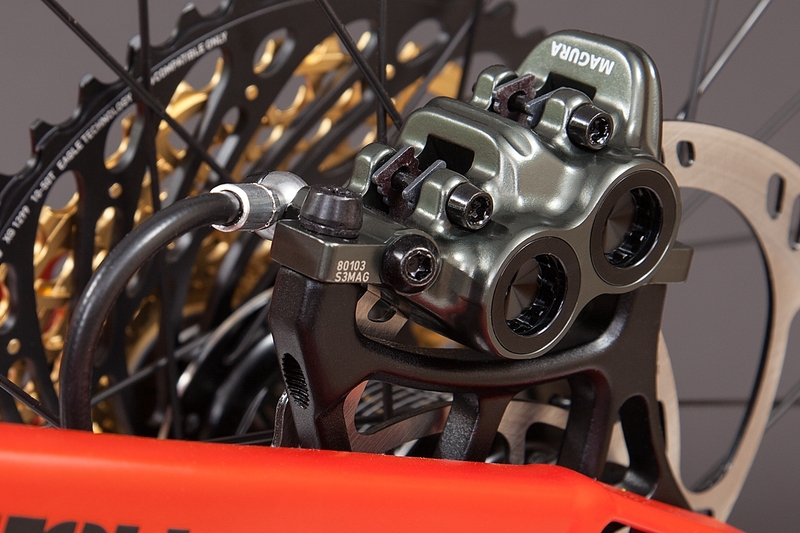 The decision not to have a front derailleur mount opened up completely new design and construction options and enabled us to improve the bearing of the rear end: It was possible, for example, to increase the bearing support and also use double row bearings on the main pivot. 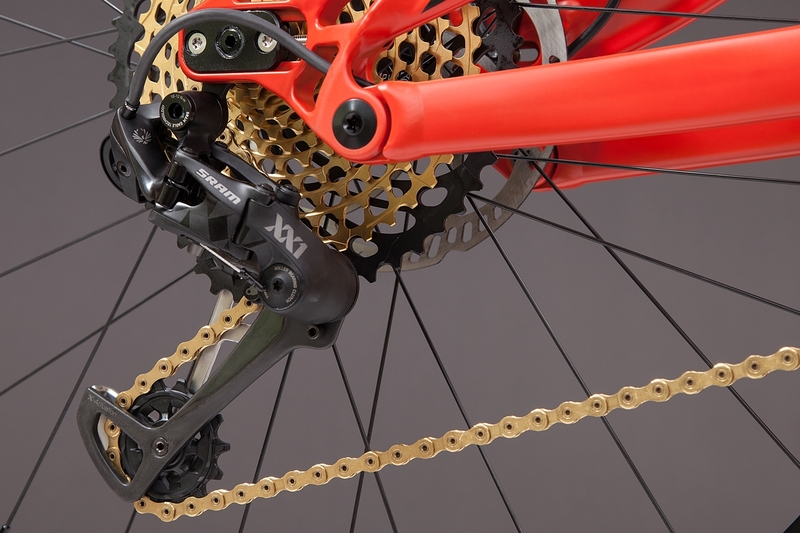 This increases stiffness of the entire frame construction, in a way you will feel! Throughout the FANES frame we use larger bearing, making them able to withstand higher loads and increase longevity (e.g. main pivot bearing +100%). We also only use LLUMAX bearings from ENDURO BEARINGS, which no longer have a ball cage but instead more balls, thus increasing the load capacity by 35%. On the rocker arm and the seat stays the bearings are secured by a circlip to keep them in place even when high side loads occur and to increase serviceability. Special bolts and covers on all pivot points protect the bearings from the elements. Within the first year of your purchase we will send you a new bearing for any on that you break - no questions asked. We don't think that will be necessary though. All counted you can only win: a bike that will put a smile on your face, which has a low wear frame concept and is a real looker on top of everything else. 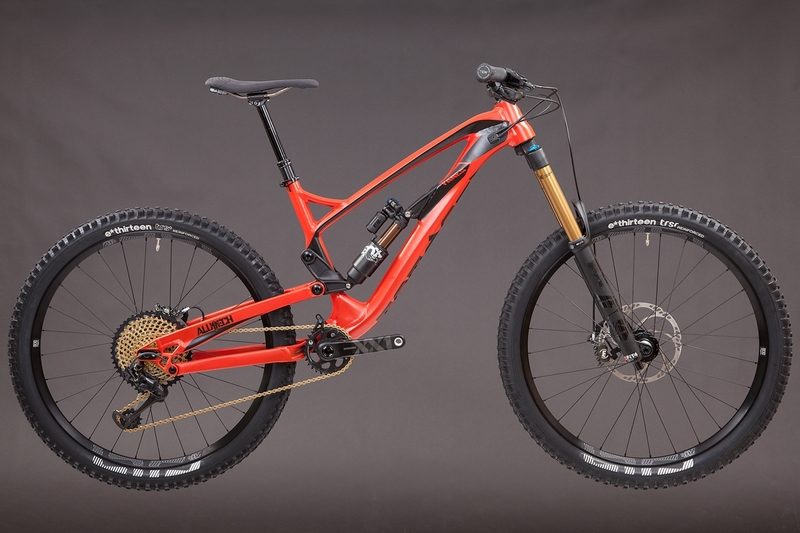 With the custom option we are able to build you a bike the way you want it! This version focuses on your options and much is possible. Ride your home trail, biking holidays in the Alps, your next bike park road trip or enduro race ? whatever is your thing, we make the bike for it. 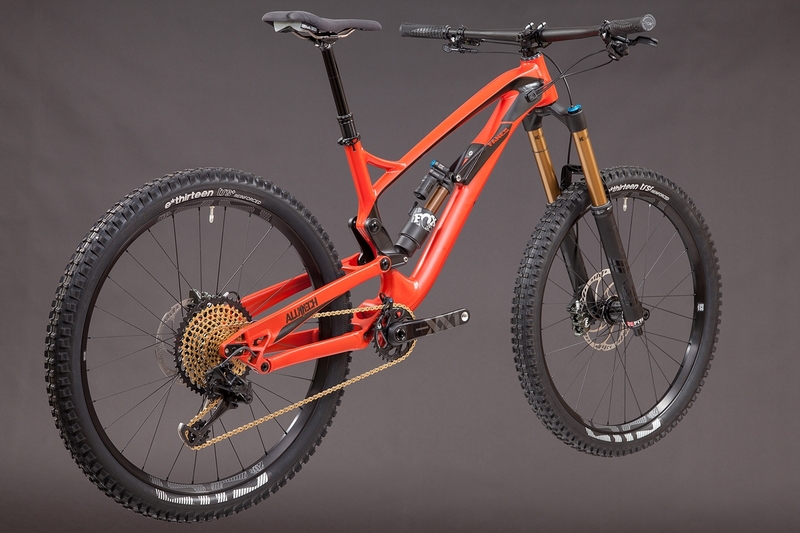 You can not only chose the color on a custom bike but also the components, what is possible can be seen in when you scroll through the configuration options. Just pick and choose as you desire. 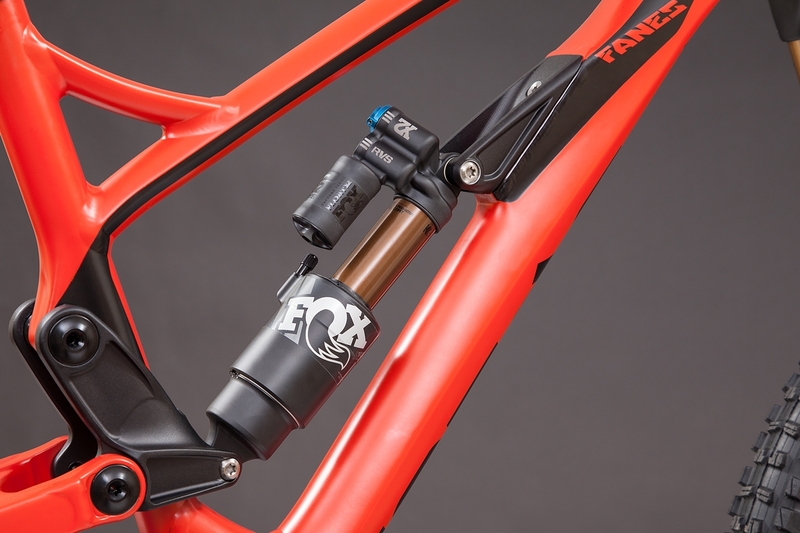 The FANES frame is fitted with the proven STS-Link rear end and provides 170 mm of travel. The wheel base can be adjusted to fit personal or track preferences. Short or long chain stays? It's your choice.